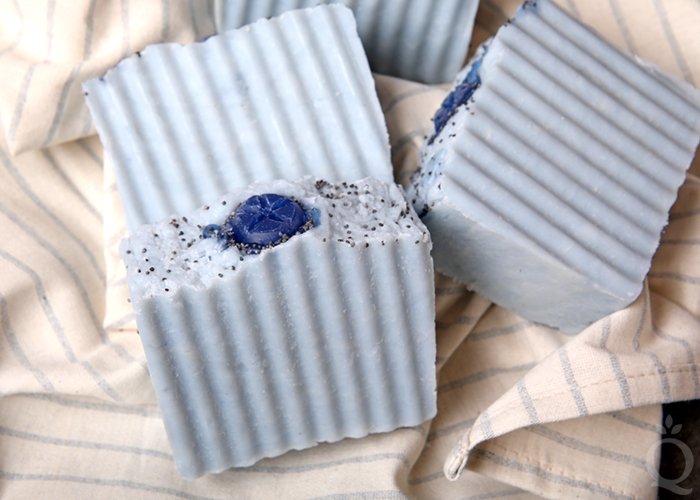 This hot process soap is inspired by new Blueberry Thyme Fragrance Oil. 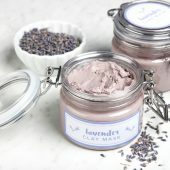 With notes of ripe blueberries, rosemary, vanilla, and musk, it’s a modern take on a classic fruity fragrance. 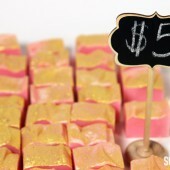 The scent is the perfect complement to these rustic hot process bars. 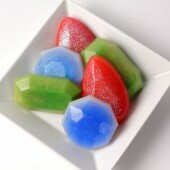 Embeds created with LCP Clear Melt and Pour Soap Base and the Small 9 Ball Silicone Mold top each bar. 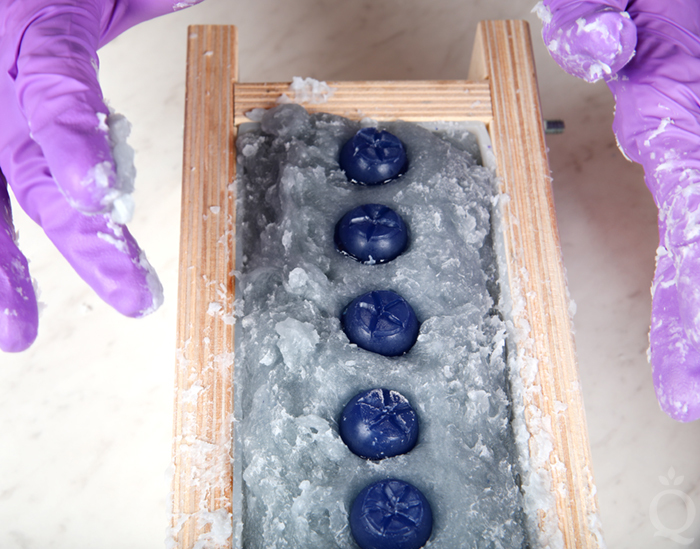 Once the soap is removed from the mold, we used the Clean Up Tool to carve blueberry details in each embed. 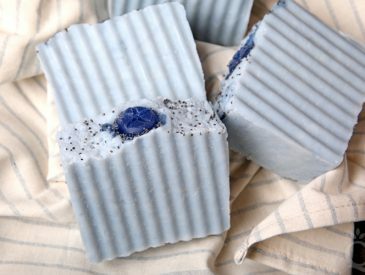 Poppy seeds are also sprinkled on top of the soap for interest. The embed on top melted, creating an accidental blueberry drizzle. We liked it so much we left the bars just the way they are. 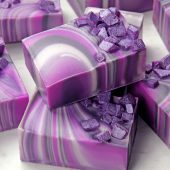 If you’re not a fan of that look, you can make the embeds out of cold process soap. 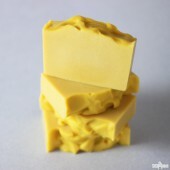 ONE: Chop 2 ounces of LCP Clear Melt and Pour Soap Base into small uniform pieces. 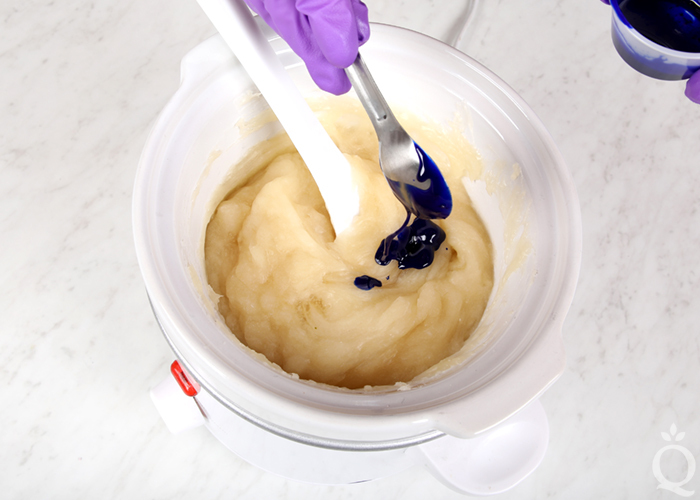 Place the soap and a shaving of Ultramarine Blue Color Block into a heat-safe container and melt using 5-10 second bursts. Because it’s such a small amount of soap, be careful to not burn it. Once melted, add more Ultramarine Blue Color Block if necessary. 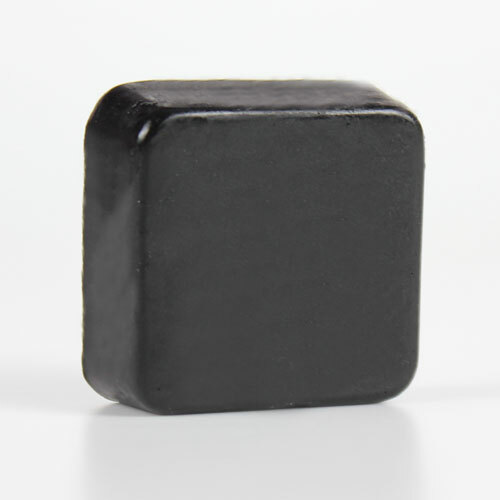 Then, add very small shavings of the Black Oxide Color Block to achieve a dark and saturated blue. 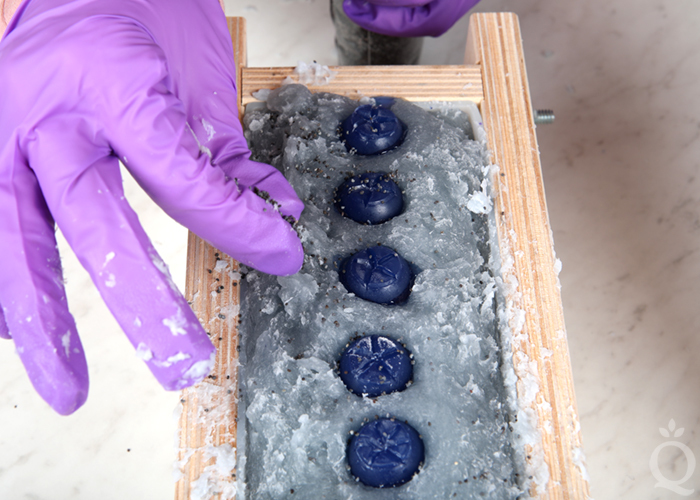 TWO: Carefully pour the soap into each cavity of the Small 9 Ball Silicone Mold. Each cavity should be filled to the very top. 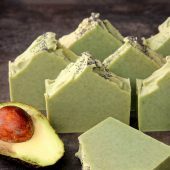 Allow the soap to fully cool and harden. THREE: Once the soap is hard, remove each embed from the mold. 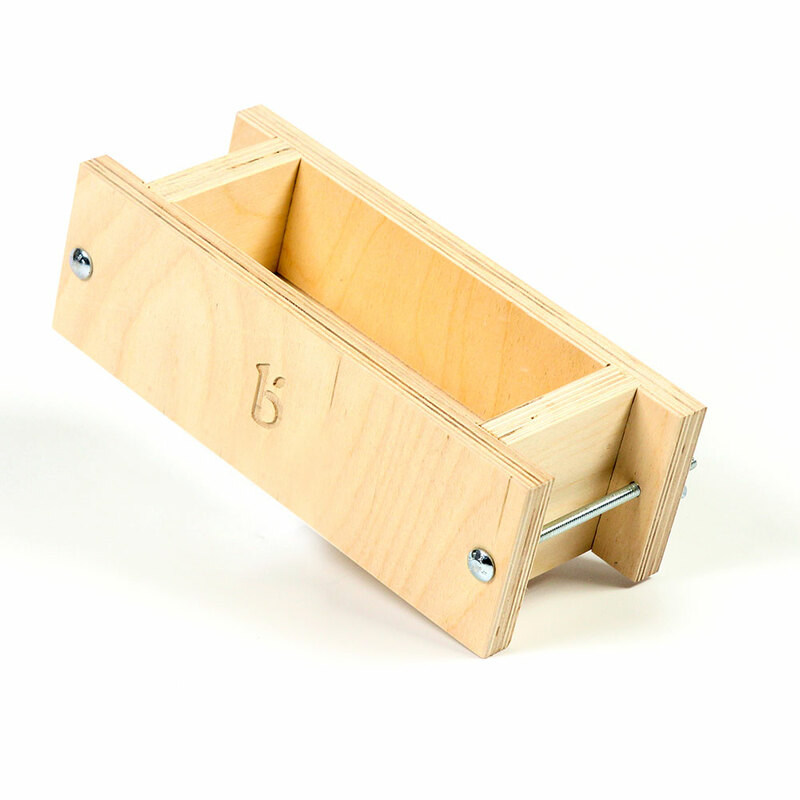 Carve five points into the flat side of the embed to resemble a blueberry. We found the Clean Up Tool worked well for this step. 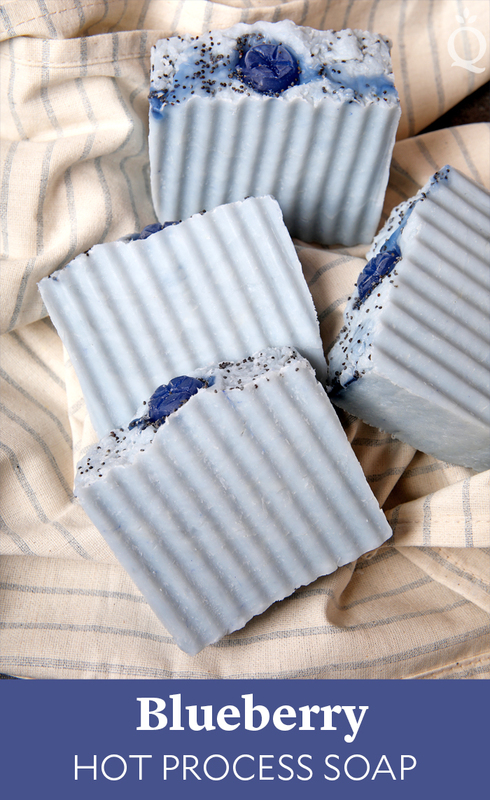 NOTE: We placed 6 blueberry embeds into the top of the soap, which created large bars. You can make more or fewer embeds depending on how large you want the bars to be. 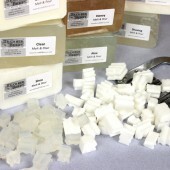 If you’ve never made hot process soap before, stop here. 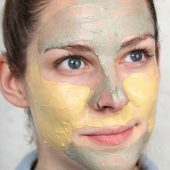 This post talks about how to handle lye safely, and this Soap Queen TV video goes over how to get started. 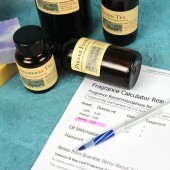 FRAGRANCE PREP: Measure 1.3 ounces of Blueberry Thyme Fragrance Oil into a small glass container and set aside. 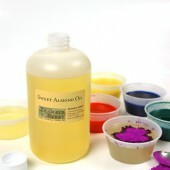 COLOR PREP: Disperse 1/2 teaspoon of Ultramarine Blue Pigment into 1/2 tablespoon of lightweight liquid oil. 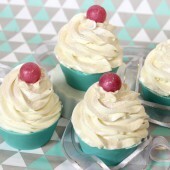 Use a mini mixer to get rid of clumps and set aside. Have poppy seeds and embeds nearby. 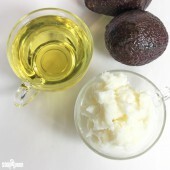 ONE: Slowly and carefully add the 3.2 ounces of lye to the 7.3 ounces of distilled water and gently stir until the lye has fully dissolved and the liquid is clear. Set aside to cool. 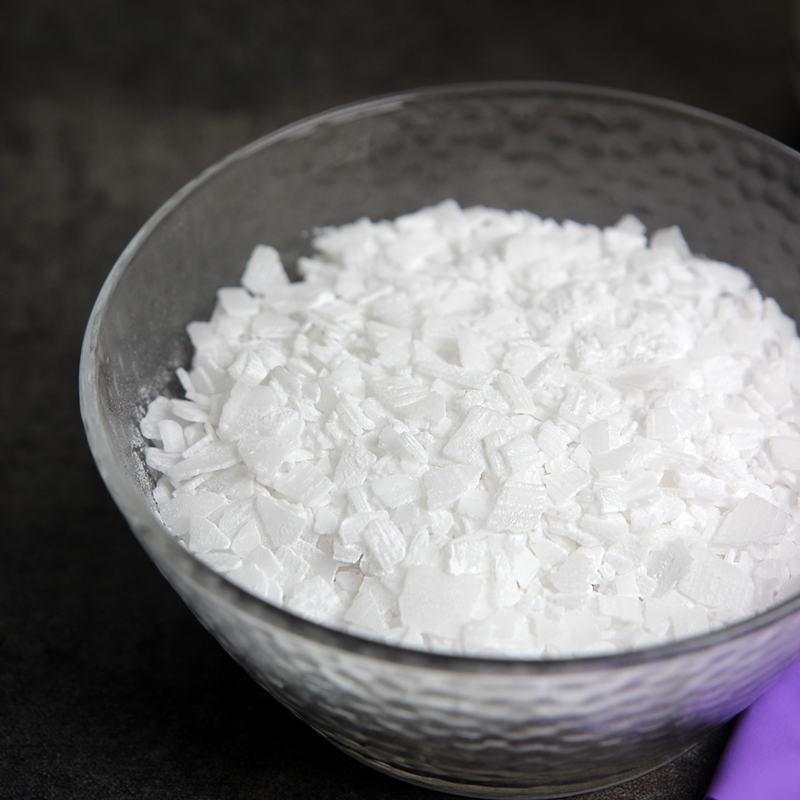 Once cooled to about 130° F , add 0.7 ounces of sodium lactate to the lye water. 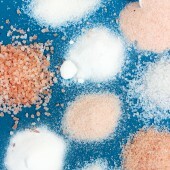 Sodium lactate is used in hot process at 3% of the oil weight to help produce a smoother bar. 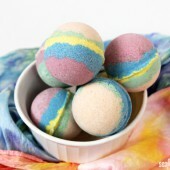 TWO: Fully melt the entire bag of Lots of Lather Quick Mix until it’s completely clear and there’s no cloudiness. 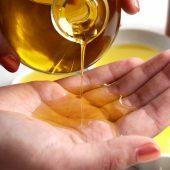 Shake the bag to mix up all the oils. Measure 22 ounces into your Crock-Pot and turn it on. NOTE: The heat setting you use may vary depending on your cooking vessel. 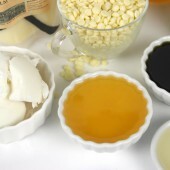 We’ve cooked hot process soap on low and high heat with equally good results. For this recipe, we used the high heat setting for a faster cook time. 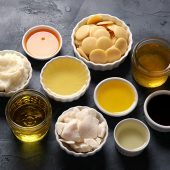 If you’re making hot process soap in your cooking vessel for the first time, start with the low setting. Next time try the high setting and see which you prefer. 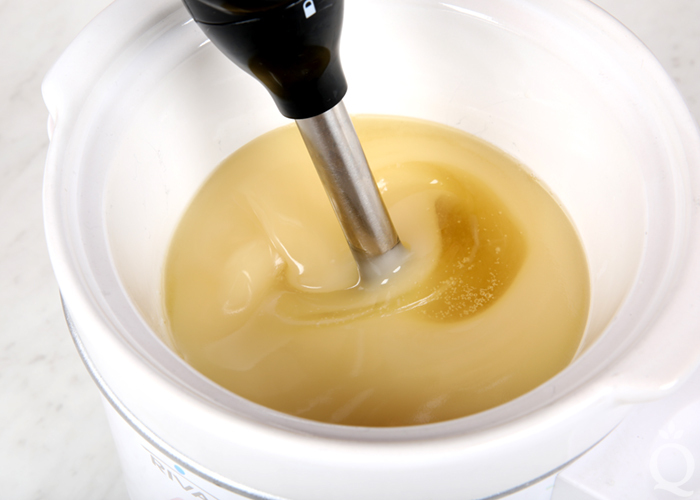 FOUR: Mix with the stick blender until a thick trace is achieved. 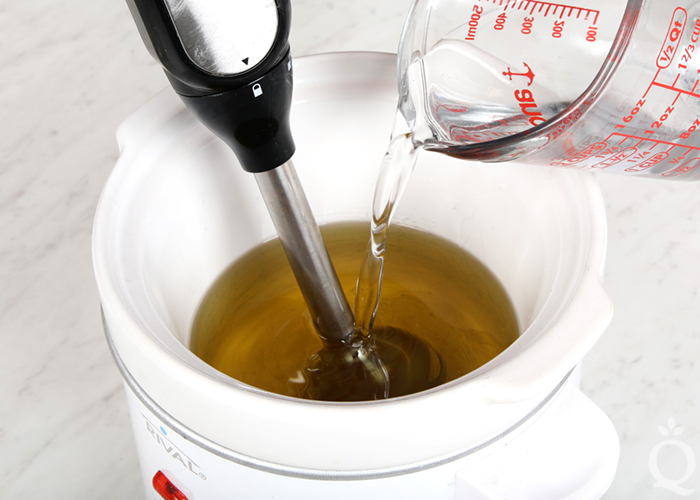 FIVE: Put the lid on the Crock-Pot and allow the soap to start cooking. After about 10 minutes, check the soap. 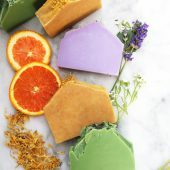 Starting from the outside, the texture and color of the soap will start to change into a glossy, slightly Vaseline-like texture. Stir the soap to ensure even cooking. Place the lid back on and allow it to cook for another 5-7 minutes. NOTE: Don’t be surprised if the soap starts to grow in volume. Don’t leave your soap unattended in the first 10 minutes of cook time for this reason. If the soap gets too high in the pot, wearing gloves, take the pot off heat and stir like crazy. 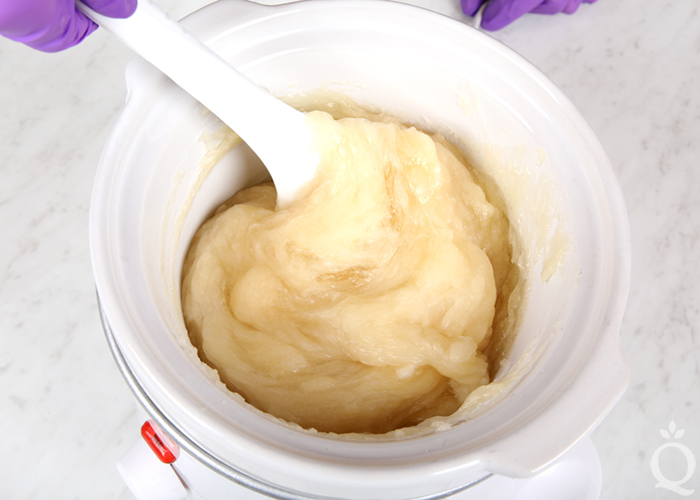 SIX: The batch is ready when it’s the texture of glossy mashed potatoes. 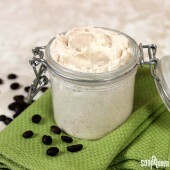 This may take up to three more 5-10 minute sessions, depending on how hot your Crock-Pot is. When you think it’s ready, use a pH strip to test the levels. 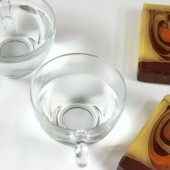 Place a small amount of the soap into a cup of distilled water and stir. Dip the pH strip into the water – it should be below 10. Be sure not to overcook the soap, you don’t want it too dry for the next steps. 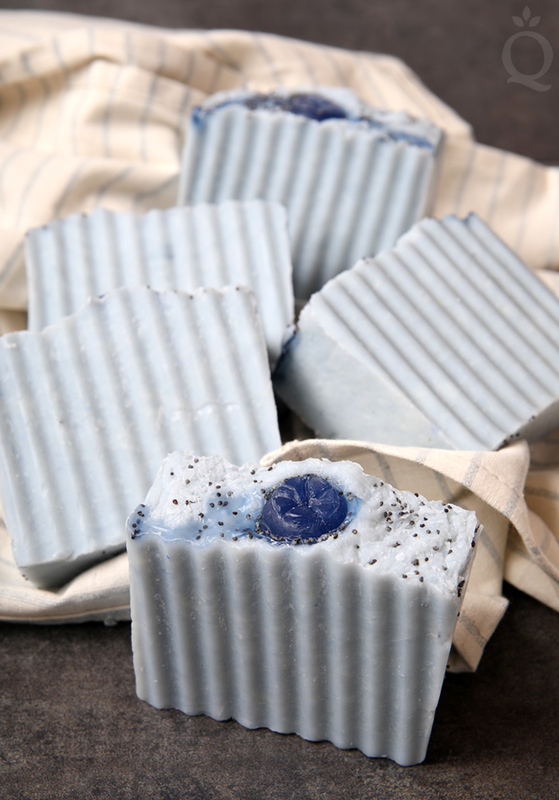 SEVEN: Add 1/2 teaspoon of dispersed Ultramarine Blue Pigment directly to the soap and stir until it’s fully combined. 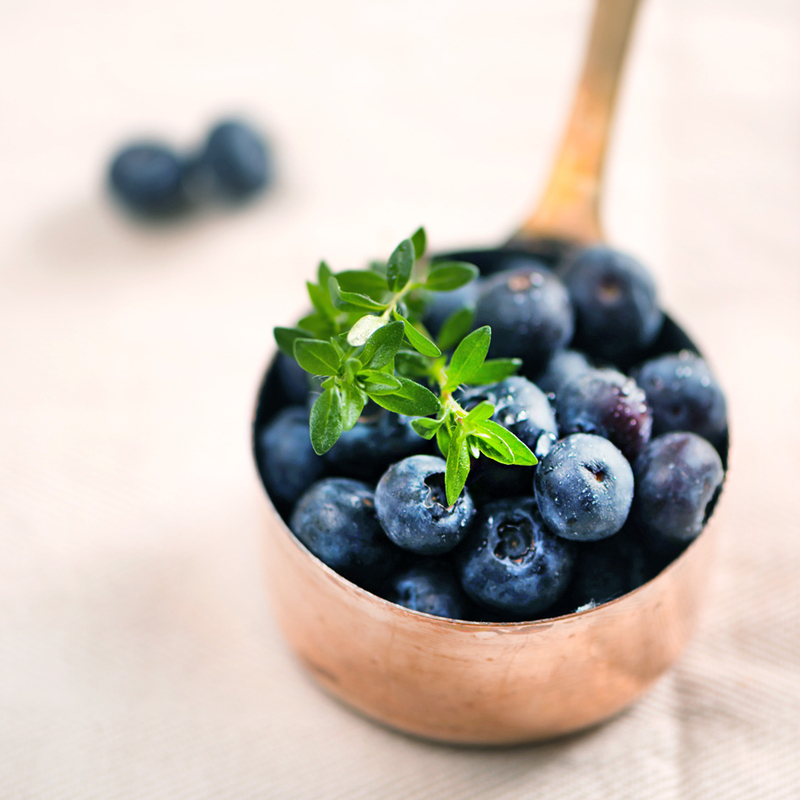 EIGHT: Add all of the 1.3 ounces of Blueberry Thyme Fragrance Oil and stir to fully combine. NINE: Working quickly, spoon the soap into the mold. Tap the mold on the counter firmly to help it settle. 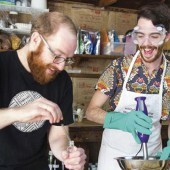 Once all the soap is in the mold, use a spoon or gloved hands to smooth the top. 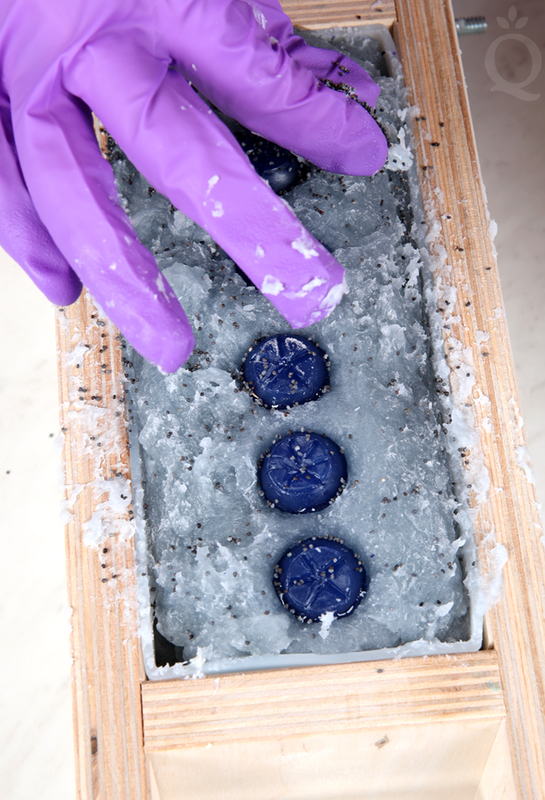 TEN: Insert the blueberry embeds into the soap. We used 6 embeds, which created nice thick bars. Depending on how many embeds you make, you can place them closer together to create smaller bars. 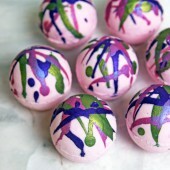 ELEVEN: Working very quickly, sprinkle poppy seeds on top and use your hands to press them into the soap. Sprinkle on more than you want, because some will fall off when the bars are cut. In the photo below, you’ll notice that the melt and pour embeds started to melt. Melt and pour soap begins melting at about 120-125 degrees F, and this soap is quite hot. We predicted this may happen, but decided to give it a shot anyway. Our embeds continued to melt enough to actually run down the mold. In the end, it looked like a blueberry drizzle. 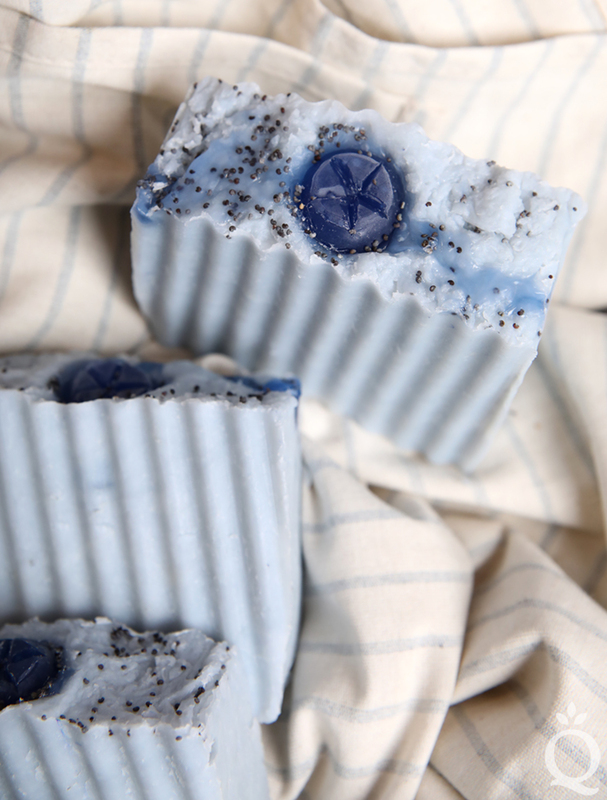 This hot process soap is inspired by new Blueberry Thyme Fragrance Oil. 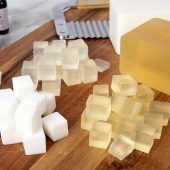 Chop 2 ounces of LCP Clear Melt and Pour Soap Base into small uniform pieces. 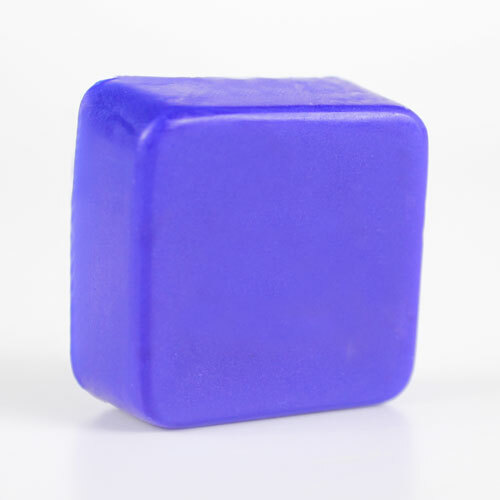 Place the soap and a shaving of Ultramarine Blue Color Block into a heat-safe container and melt using 5-10 second bursts. Because it’s such a small amount of soap, be careful to not burn it. Once melted, add more Ultramarine Blue Color Block if necessary. 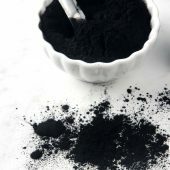 Then, add very small shavings of the Black Oxide Color Block to achieve a dark and saturated blue. Carefully pour the soap into each cavity of the Small 9 Ball Silicone Mold. Each cavity should be filled to the very top. 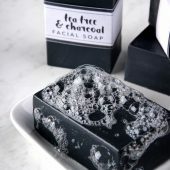 Allow the soap to fully cool and harden. 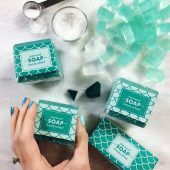 Once the soap is hard, remove each embed from the mold. Carve five points into the flat side of the embed to resemble a blueberry. We found the Clean Up Tool worked well for this step. 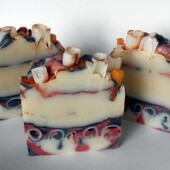 NOTE: We placed 6 blueberry embeds into the top of the soap, which created large bars. 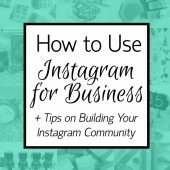 You can make more or fewer embeds depending on how large you want the bars to be. 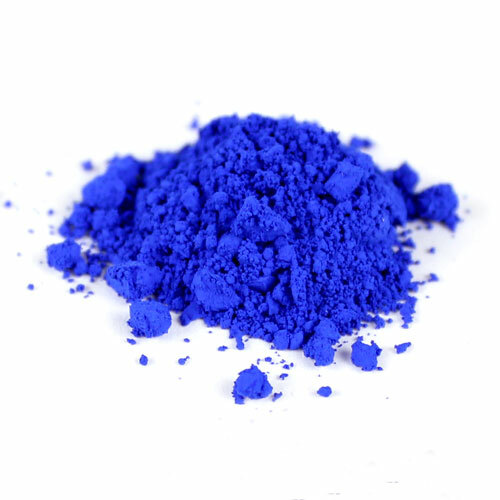 COLOR PREP: Disperse ½ teaspoon of Ultramarine Blue Pigment into ½ tablespoon of lightweight liquid oil. 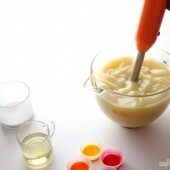 Use a mini mixer to get rid of clumps and set aside. 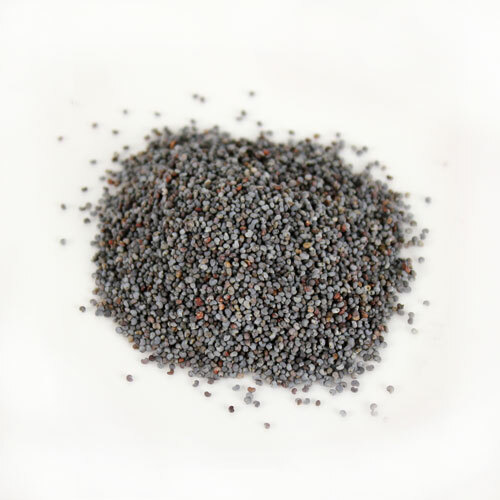 Have poppy seeds and embeds nearby. Slowly and carefully add the 3.2 ounces of lye to the 7.3 ounces of distilled water and gently stir until the lye has fully dissolved and the liquid is clear. Set aside to cool. 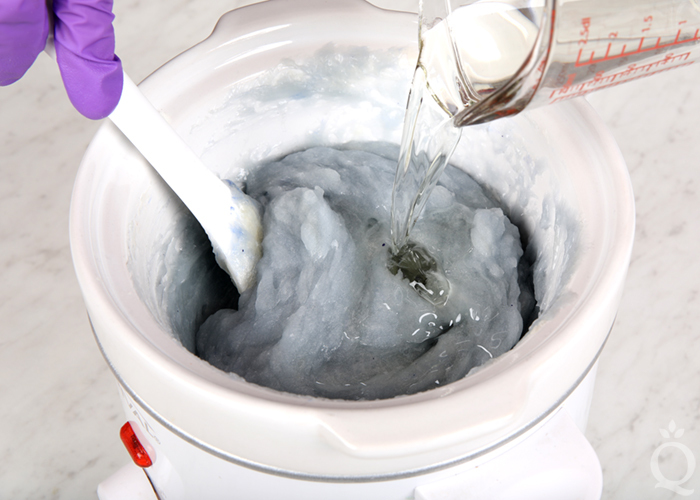 Once cooled to about 130° F , add 0.7 ounces of sodium lactate to the lye water. 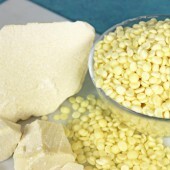 Sodium lactate is used in hot process at 3% of the oil weight to help produce a smoother bar. 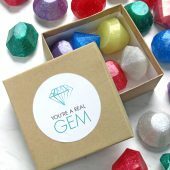 Fully melt the entire bag of Lots of Lather Quick Mix until it’s completely clear and there’s no cloudiness. Shake the bag to mix up all the oils. Measure 22 ounces into your Crock-Pot and turn it on. NOTE: The heat setting you use may vary depending on your cooking vessel. 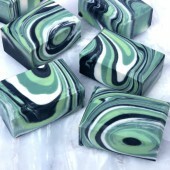 We’ve cooked hot process soap on low and high heat with equally good results. For this recipe, we used the high heat setting for a faster cook time. 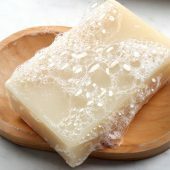 If you’re making hot process soap in your cooking vessel for the first time, start with the low setting. Next time try the high setting and see which you prefer. 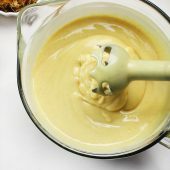 Mix with the stick blender until a thick trace is achieved. Put the lid on the Crock-Pot and allow the soap to start cooking. After about 10 minutes, check the soap. 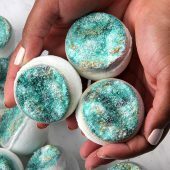 Starting from the outside, the texture and color of the soap will start to change into a glossy, slightly Vaseline-like texture. Stir the soap to ensure even cooking. Place the lid back on and allow it to cook for another 5-7 minutes. NOTE: Don’t be surprised if the soap starts to grow in volume. Don’t leave your soap unattended in the first 10 minutes of cook time for this reason. If the soap gets too high in the pot, wearing gloves, take the pot off heat and stir like crazy. The batch is ready when it’s the texture of glossy mashed potatoes. This may take up to three more 5-10 minute sessions, depending on how hot your Crock-Pot is. When you think it’s ready, use a pH strip to test the levels. 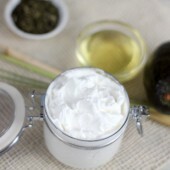 Place a small amount of the soap into a cup of distilled water and stir. Dip the pH strip into the water – it should be below 10. 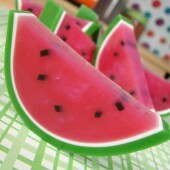 Be sure not to overcook the soap, you don’t want it too dry for the next steps. 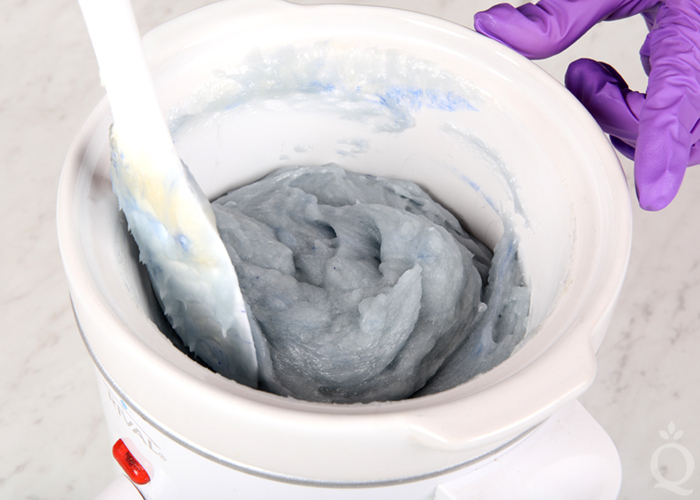 Add ½ teaspoon of dispersed Ultramarine Blue Pigment directly to the soap and stir until it’s fully combined. Add all of the 1.3 ounces of Blueberry Thyme Fragrance Oil and stir to fully combine. 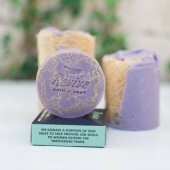 Insert the blueberry embeds into the soap. We used 6 embeds, which created nice thick bars. Depending on how many embeds you make, you can place them closer together to create smaller bars. 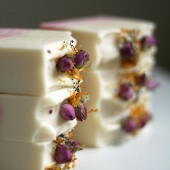 Working very quickly, sprinkle poppy seeds on top and use your hands to press them into the soap. Sprinkle on more than you want, because some will fall off when the bars are cut. 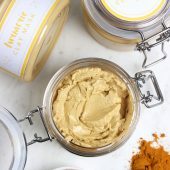 What size crock pot do you recommend for hot process? 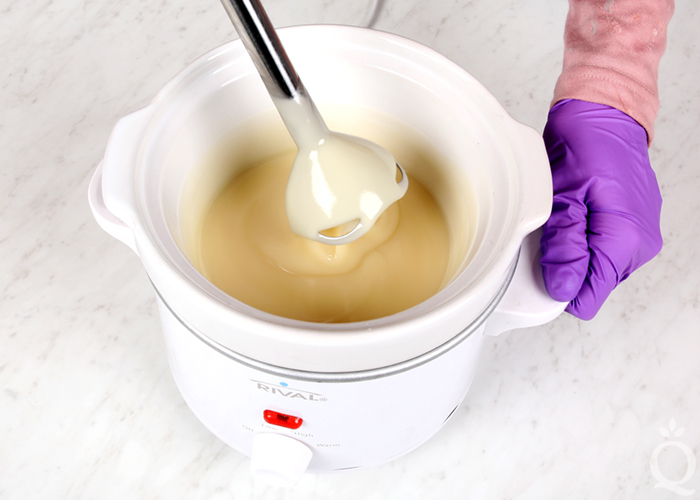 You’ll want the crock pot to be able to hold the entirety of your soap batter, so definitely plan accordingly. I believe we used a 1.5 quart crock pot with this project. Following the processing of soap for the last two years. Read many blogs but no comparison of this one. Just got an innovative idea from it. Looking forward to more articles in the future. Well, This blueberry thyme really got me goosebumps for sure. WoW, What a simple process that we didn’t know before but from now it really goes too far for sure. 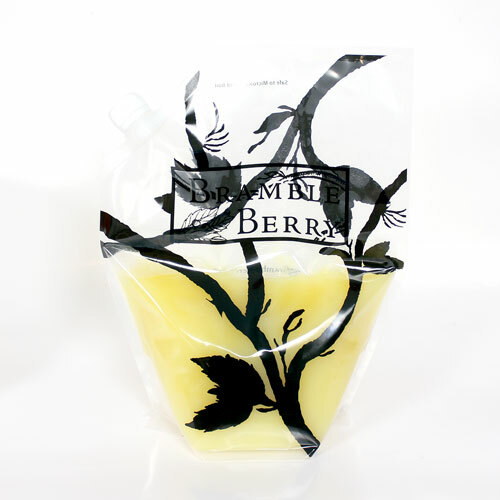 Bramble Berry, have you thought about making up bags of scented and unscented embeds? 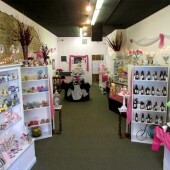 I know from experience it sure speeds up making up an order for candles, it would work w you also. Some people like it kept super easy. They are more than willing to buy and not have to fiddle w the fine things, anyway just a thought. Have fun guys! Thanks for your suggestion, we’ll definitely keep that in mind. 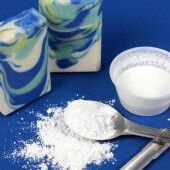 We do sell rebatch and melt and pour soap, which can be used for embeds. Hey, forgot to say when using the syringes keep in mind to hold it down in the soap to keep the syringe hot so the soap will flow out. Thanks for the great tip. 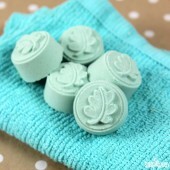 You can also use piping tips for detail work. 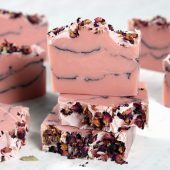 Something went really wrong with my first attempt at a hot process soap with this recipe. I used frozen goat milk in place of distilled water. I cooked it on low for 10 minutes and things looked good. Cooked an additional 5 minutes, started to look a bit dry and lumpy. PH read 7. Stirred, then added the colorant and fragrance. Scooped into mold. Some oil separation and discolored to a greenish blue. Please advise as to where I possibly went wrong. These are beautiful bars and I’d like to attempt again! Using goats milk instead of water will cause the discoloration since the milk will scorch. Sometimes the separated oil is a temperature issue. We’ve noticed that after a few days the oil tends to mix back in. If the oils are still separated after a few days, it probably wasn’t emulsified enough. 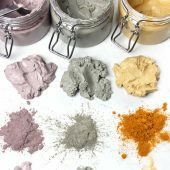 So you’ll want to stick blend more in the future. I made this road 10 days ago. I am disappointed with the embeds. I used BB LCP as instructed and the embeds are now covered in glycerin dew. Bummer. 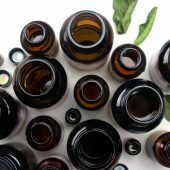 In really humid climates, the melt and pour can sweat. It helps to cure the bars in a cool, dry place. If you have a fan or a dehumidifier, that helps a lot. 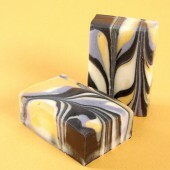 Since this FO has vanillin in it, will it eventually cause the soap color to change? Yes, the fragrance oil discolors tan so the bars will have a more tan-blue shade. 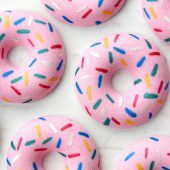 To prevent that, you can add titanium dioxide. 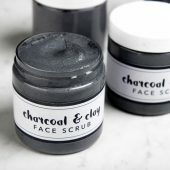 Mix 1 teaspoon with 1 tablespoon of lightweight oil, then add 1 dispersed teaspoon at a time until the color is pretty light. Then, add the blue. 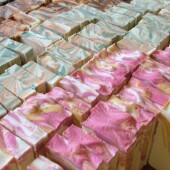 Over the years I have made hp soap. 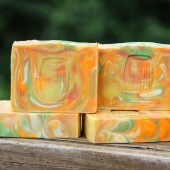 It isn’t my favorite because of the lumpiness and rustic texture of the soap. 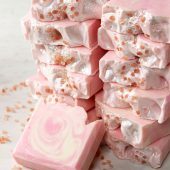 In the last few years hp soap has taken on a new look of a smooth bar. 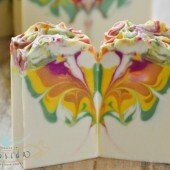 What part of the process has given these soap such a smooth surface? 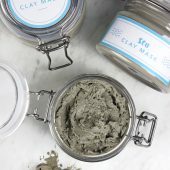 The sodium lactate in step one really helps – it makes the hot process smoother and more fluid. I would definitely recommend giving it a try. 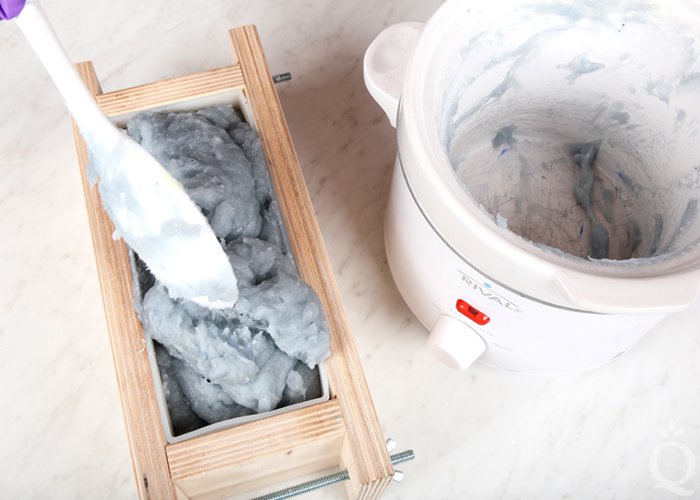 There are definitely a few benefits to hot process: no glycerine rivers, no soda ash and the reduced cure time. I test and use one bar within 24 hours to prove that, but the rest still cure about 4 weeks before they are given out. 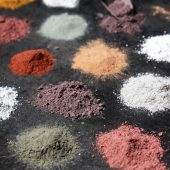 If you are doing one color only, you can add it at the beginning and the cook won’t hurt the color. I’ve done it many times with many of Brambleberry colors. 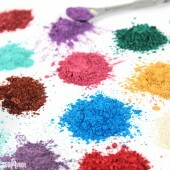 It saves that step at the end and ensures the color is well mixed in: trust me, it works! I just did one last week with caribbean blue mica. Absolutely, that’s an option too. These bars are absolutely beautiful. I love it when an accident produces an extra layer of interest and beauty. The accidental drizzle gives each bar it’s own unique character. Thank you for your inspiration; I enjoy each new recipe you put out and look forward to the next. Thank you for reading and for your sweet comment, it means a lot to us.